Drifted snow flour. Sperry products. 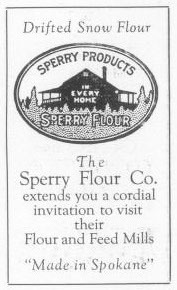 The Sperry Flour Co. extends you a cordial invitation to visit their Flour and Feed Mills. "Made in Spokane"